I was reading eLearning Magazine’s dispatches from the Learning Solutions 2013 conference, and appreciated a list they put together that encapsulated “Key Strategic Shifts to Watch.” After reading it through and giving it some thought, they really add up to one major shift in the way we should approach online learning: Learners taking control of their own learning. I’ve touched on this topic before, but it warrants a deeper dive. I could not agree more. Learners, from grade school through business leaders require the ability to sort through the sea of content to make sense of it all: Truth from fiction, actionable ideas from general knowledge, judgments from smears, opinions from facts. All of those are valuable content types—even smears—but through sorting comes understanding and eventually, knowledge. But as I made the case before, knowledge is not my department. What I am concerned about is how knowledge results in action (learning transfer). In other words, how does a learner demonstrate knowledge? Participation. The smartest person in the room, her brain a repository of knowledge vast and deep, adds nothing if she chooses not to participate. In our business world, we know when someone is participating that results in adding value. But in a learning environment, how do we measure that learning occurs? Formal assessments can, to certain degree, accomplish this. But adult learners have little appetite or patience for that—neither do kids, but too bad. One useful, practical and engaging way for learners to take control of their own learning and to demonstrate learning transfer is by effectively curating their learning topic. Can the learner pull together digital artifacts that synthesize their learning into a meaningful content collection? Can the learner express how and why the collection hangs together, demonstrating the ability to both select useful content and to connect the dots into a coherent whole? If so, it’s a terrific way to demonstrate that learning has occurred outside an actual on-the-job problem-solving situation. In fact, I have named my blog In The Learning Age in large part because ultimately information fluency is the central task we face no matter what our job descriptions might say. We need to be individual learners, and part of learning organizations, in order not to be left behind in this Learning Age. 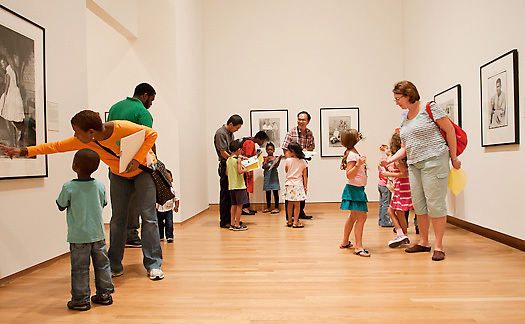 We are learning workers, and curation is a great tool for us – IDs, trainers, educators, PD professionals – to employ. Check out both of these links below to read more about creating learning curators. I also invite you to check out my own attempt to curate content on my scoop.it page. The Clutter Museum: Make student curators is an educator’s take on what curation looks like in a school setting. The more academic Exploring Curation as a Core Competency in Digital and Media Literacy Education is an article that in the Journal of Interactive Media in Education, a British journal. While both of these short, interesting pieces discuss scholastic applications, it is not much of a jump to see how they can be applied to training and professional development efforts, too.